80% of hospitals in the U.S. with childbirth services rely on InJoy. There’s a reason why. Whether you are a director, nurse manager or work in maternity services, a lactation consultant, or childbirth educator, your job is to make sure that every patient enters and leaves your hospital educated about the birth process and the little person they are taking home with them. They need to feel supported and informed at every touch point, and you need to have materials that allow you to do just that. InJoy’s products are designed to save you money and time. They make it easy for you to educate patients in a variety of settings, train your staff, communicate important information from pregnancy to postpartum, and engage your patients in meaningful ways. They are a smart investment. Our format variety allows you to cover each topic in a variety of teaching environments, including time-constrained classroom teaching and one-on-one bedside. It’s not always easy to engage your clients. We get that. Because our products are high-quality, visual, diverse, and include real stories, your patients relate more and, as a result, are more satisfied with their experience at your hospital. Much of the information available out there is inconsistent, sometimes even contradictory. Our products help standardize education between providers and touch points since all of our formats share the same guidelines. We also offer staff development DVDs and eCourses that are consistent with our patient materials. It’s not easy to market and customize your business. With InJoy, you can white label and customize content; you even have the ability to resell our eClasses for additional revenue. Save your staff the time and headache of creating their own materials--ours already look very professional, improving your image. 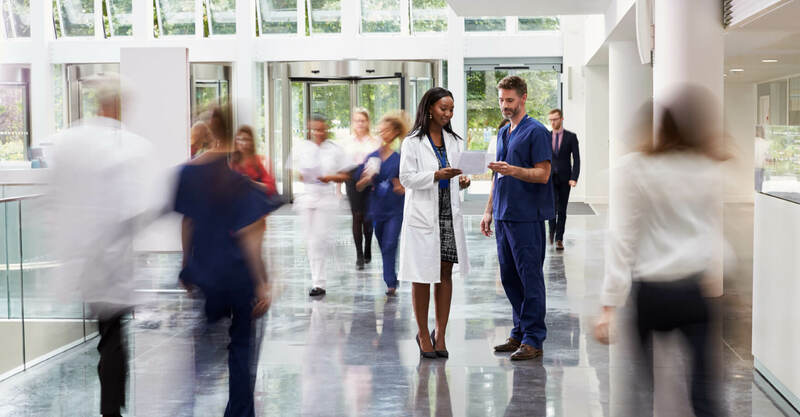 I am a director at a large networked hospital, and I know that one of the metrics for how a patient feels about their experience in the hospital is determined by the relevancy of the information they are provided by the staff, and how they are cared for. I chose to partner with InJoy because I wanted a one-stop shop, NOT a list of vendors that I would have to manage. I don’t have time for that. The InJoy product line allows me to produce branded materials for patient and staff education, and to improve patient care by imparting evidence-based information that is relatable, tangible, and empowering. I love working with InJoy! If I had to give only one answer to the question, “What is the most important aspect of your job?” my response would be quite simple: it is to make sure every patient leaves the hospital knowing what they need to know. I have partnered with InJoy because the materials are affordable, customizable, are in compliance with hospital protocol, and can be used by my patients after discharge. And, they also help me train my staff.